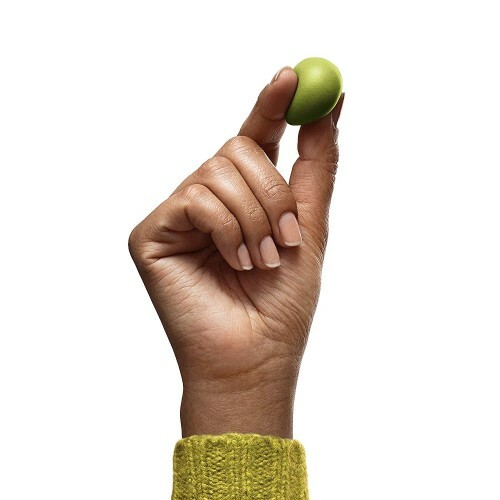 This is the best user-guide to personal finance I've found, and I've probably read them all. It is certainly the sanest and most level-headed. There are no get rich quick schemes here, just plenty of ways to get rich slowly. Indeed, Get Rich Slowly was the name of author's very popular personal finance blog, which led to this book. J.D. Roth takes the great investing advice of Andrew Tobias in The Only Investment Guide You'll Ever Need, and he summarizes the life-earning wisdom in the previously reviewed (and still recommended) book Five Rituals of Wealth and he includes the needed crystalization of priorities found in Your Money or Your Life, and financial motivations from Suze Orman and the Millionaire Next Door and then adds key insights and tips from hundreds of other lesser-known money gurus. I would not call this an inspirational book (plenty of those on the shelves), nor even a memorable book like the ones mentioned above. Rather it is what is advertised: a day-to-day operating manual for your money. Specific details, sources, methods, tricks. Dip into it when you are stuck, check it before trying something new, re-read it when you think you know it all. I've done pretty well financially, and if you were to ask me my practical advice -- like what to do tomorrow -- I would simply give you this book. It's slow, but true. I love reading The Sunday Soother by Catherine Andrews — a newsletter about practical spirituality. Each week she shares her thoughts and processes for slowing down and creating more meaning in life, as well as articles, books, beauty products, recipes and more. It’s like getting an intimate letter from a friend. Each email is a tool for self-reflection. Her last two issues were dedicated to grief and ambiguous loss — which I learned is a particular type of loss that lacks a definition and closure. She solicited stories from her readers and here is what was shared. Our guest this week is Tommy Honton. Tommy is a Los Angeles-based experience designer who specializes in weaving interactivity and game mechanics into narrative storytelling. Across the United States, he’s produced interactive and immersive work for audience sizes ranging from 1 to 80,000. He’s also the co-creator and designer of the critically-acclaimed escape room Stash House and co-founder of the interactive exhibition Museum of Selfies. You can follow him on Twitter @angelalansburyd. I live and die by my calendar. I struggled to find a way to organize tasks by project and deadlines along with my daily agenda and personal schedule that could fit in one space on my phone and computer. I finally found my rhythm with Google Calendar integrated with Trello. All my projects are on Trello and every deadline or milestone now appears automatically on my calendar which makes it easy to manage and schedule my entire life in one spot. I take notes constantly. I prefer to keep everything digitally in the Google Drive ecosystem, but there’s something satisfying about using a good notebook and pen. Plus, in meetings, typing on a computer or phone can give off the appearance of being distracted or not paying attention. I prefer using ultra fine tip Sharpies as my typical writing tool in a durable notebook. 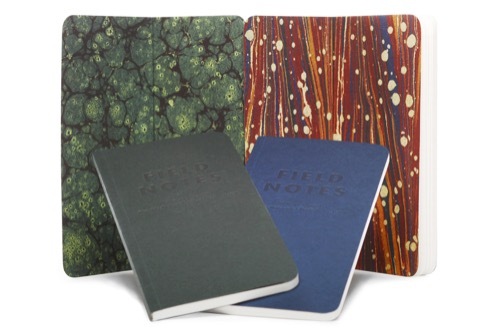 I used to use pocket-sized Moleskines (they’re actually vegan which is important to me), but lately I’ve used Field Notes brand notebooks. My favorite is their End Papers version which is thinner and slimmer and fits in pockets very easily. Once I finish with a meeting, I always photograph the pages and mark them through so I know I have a digital copy. Then I’ll transcribe them or add notes in Google Keep which I’ll transfer over into a Google Doc sorted in Google Drive based on the project. I like keeping track of all forms of entertainment I consume, not only because I like data for some reason, but it’s been practical when I’m trying to remember a show or something I’ve listened to or want to make notes on it. 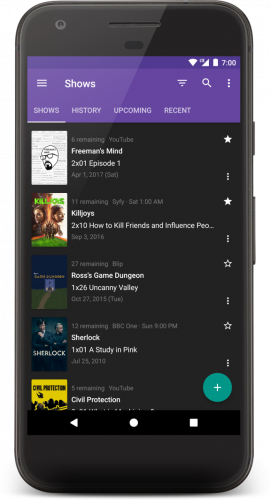 For media, the service Trakt is fantastic and I have it integrated with the app Series Guide on my phone since Trakt doesn’t have a first-party app. I wish they kept track of books, Podcasts, etc, but they don’t, so I just have a Google Sheets page where I keep track of that stuff manually. And, me being me, I have a sheet for escape rooms, immersive productions, LARPs, and other stuff that I have to do manually as well. Creating tactile experiences means stuff is going to break, crack, tear, smear, etc. I’ve really learned to appreciate the magic of three things: Sugru which is a putty-like glue that cures into a hard rubber. E6000, a craft adhesive that bonds pretty much any material to any other material. And a good clear coat to protect or finish any surface to make it smooth and safe from UV damage, scratches, or peeling. I prefer Rustoleum brand’s clear paint version. Stash House is a 90-minute escape room experience that plunges guests into the seedy underbelly of Los Angeles’ criminal underworld. Coming face-to-face with Ray Jones, notorious criminal kingpin, players must navigate Ray’s test or risk the consequences. It is ranked 15th by the most experienced players in the world. These ingenious sewing needles can be threaded blindfolded. You pull the thread into a spiral from the side, and for the most part the thread will remain in the eye as you sew. That is not true for calyx eye needles (invented a hundred years ago) as a solution to the vexing problem of threading the eye. It's as easy for the thread to slip out of the open slot at the end of the calyx needle as it is to slip in, and this wavering can fray the thread. The spiral eye needle doesn't snag, but in my experience, it will occasionally let the thread slip out. Expert sewers might find that annoying. It is dead simple to slip back on, and the thread is not frayed, so I can put up with that small inconvenience. Spiral Eye needles are expensive. However they should last a lifetime if you don't lose track of them (they look very similar to regular sewing needles). 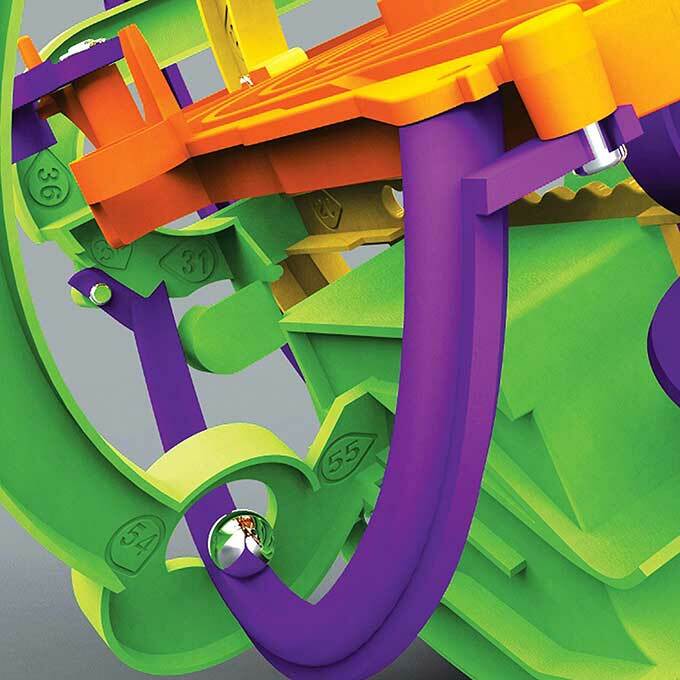 The Cool Tools website focuses on handy, useful, proven tools. But a lot of great stuff that Mark and I come across are not really tools. We created the Recomendo email list for this purpose. Every Sunday we mail out 6 very brief recommendations of cool stuff: places we love, people to follow, great things to eat, good movies, fantastic podcasts, cool tips, short cuts, favorite items, and many other suggestions. This newsletter, Recomendo, is free and has over 20,000 subscribers. Sign up here. Last year we took the best of our first two years' recommendations and put them into about 100-page book. The book (available on Amazon here) is made to be browsed. You can flip through it in any order and most folks will find something of interest on every spread. It is an easy read. For the benefit of international fans, and for those who don't want paper books, we have created a digital version. It's a downloadable searchable PDF, in full color (the paper book is only B&W), weighs nothing, and is available instantly for only $1.99. We priced it so that anyone could afford it. Check out our new Recomendo book! 550 of the best recommendations from the past two years. A while back I recommended WeCroak. These are a few of my favorite quotes from the death reminder app. Our guest this week is Aaron Lammer. Aaron is the co-host of the Longform Podcast, which has interviewed non-fiction writers weekly for over half a decade. He has been writing songs with the music project Francis and the Lights since college and lives in Brooklyn. Audio Hijack is like a router for audio inside your computer. You can record just about about any application’s audio output, or just record the system audio itself. If I want to grab some audio from a Youtube video I’ll just hit record and then hit play. 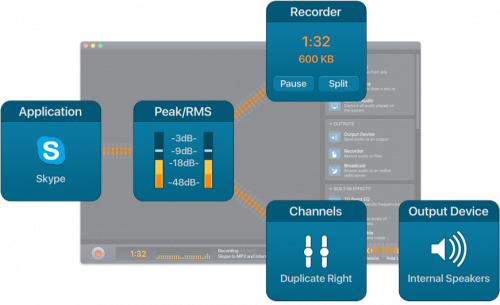 It makes audio — not just what you have as files but any audio you can even play — available with a copy paste workflow. 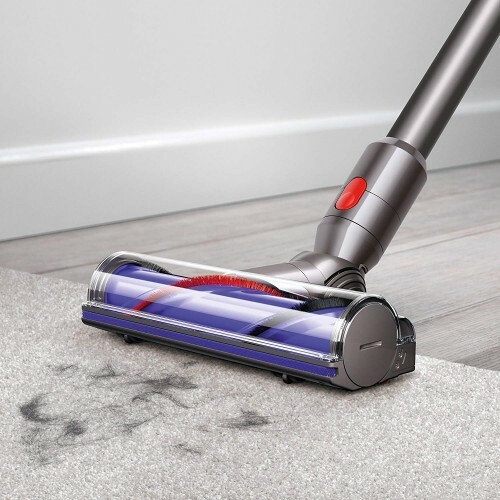 I bought this vacuum last year and it’s the first consumer product since the iPhone that I’ve felt was so essential that I’d pay basically whatever they asked for it. Also, it wall mounts very securely in a way that I wished everything I hang up daily just clipped into place. I use Airplay constantly. It really appeals to me as a technology and Apple TV is at the center of my living room. 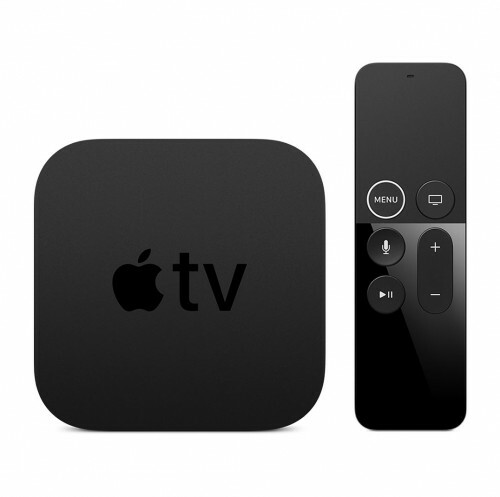 I’ve maintained a big stash of mp3s and movies for a long period of my life and have gone through a gazillion ways of playing them back, Apple TV is where I landed. I also like the app Beamer for sending movies to Apple TV. I’ve been sending my Apple TV sound to my Airpods recently after my family goes to sleep. I was going to list this little synthesizer I have called the OP-1 but they’re not selling them right, so when mine broke I had to open it up and put in a replacement headphone jack. 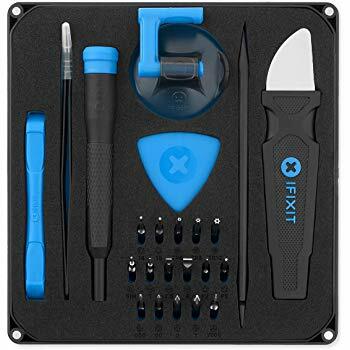 I bought this little toolkit from iFixIt that had the part and a handful of tools, the most useful of which is the “spudger.” I’ve ended up using this kit several times since then, including repairing a Minidisc player last week in order to get one audio file off a decade old Minidisc. Come ride the crypto rollercoaster with hosts Aaron Lammer and Jay Kang (and guests) as they laugh their way through the week in Bitcoin and beyond. There are ten thousand business books published each year and way over a hundred thousand in print. Most business books are worthless drivel, some are a good article fluffed out into a thin book, and maybe 100 out of those hundred thousand are worth reading. Out of those 100 best, only 10 might have something to say to you. But how to find those few? Jack Covert and Todd Sattersten, two guys who sell biz books, seem to have read all of the ones in print, and they have done the world a favor by selecting the 100 best business books ever, and then packing summaries of them all into one meta-book. If all you want is their list, you can go to their website and check it out. But their book is much better than a simple list, and their list is better than most. The two have reviewed, abstracted, and compared all the best 100 in the context of thousands of similar books, unlike say your average Amazon reviewer who may have only read one other business book in his or her life. You get context instead of content. Reading Covert and Sattersten's summaries of these classics is often better than reading the book itself, and the review is always useful in pointing you to the few books or authors you might actually want to read in full. In addition to including the expected gems like Good to Great, The Effective Executive, and Purple Cow, the 100 Best list also includes many lesser-known titles, some of them oldies-but-goodies, like Up the Organization, The Innovator's Dilemma, and Flow. Not everything is new in business; the wisdom of the past is often surprisingly relevant. Finally, this book itself is one of the best business books, and can be read alone as a pretty good education in business in its broadest sense, even if you don't read any of the references. All in all, this is a great business resource at a modest price. If you took their list and read all 100 books you'd get a better MBA than any university would give you, at a fraction of the cost. This is a cool 3-dimensional maze that is easy to get started and hard to finish. You need to steer a small metal ball along an ingenious obstacle course by rotating the clear plastic globe. There are 100 stations along the way, including some difficult topsy-turvy turns. All ages can get into it. We've found the puzzle to be extremely addictive to anyone who gets started. Because it's like a 3D video game without the electronics, the very physical nature of playing -- turning it this way and that -- is very satisfying. In addition, the maze is like a sculpture, the design of the route is geekily brilliant, and the elegance of the eternal return of the steel ball within the sphere is a stroke of genius. Perplexus has the glow of a work of art. It makes me happy just to pick it up. This is by far the best guide ever written for designing games. All kinds of games, simple and traditional, but of course video games, too. This fat book is packed with practical, comprehensive, imaginative, deep, and broad lessons. Every page contained amazing insights for me. The more I read and re-read, the more important I ranked this work. I now view it as not just about designing games, but one of the best guides for designing anything that demands complex interaction. My 13-year-old son, who, like most 13-year-olds, dreams of designing games, has been devouring its 470 pages, telling me, "You've got to read this, Dad!" It's that kind of book: You begin to imagine your life as a game, and how you might tweak its design. Author Jesse Schell offers 100 "lenses" through which you can view your game, and each one is a useful maxim for any assignment.